The Crimson Tide couldn’t build upon Thursday’s win over Ole Miss, even if the national landscape simultaneously helped their cause. Selection weekend Friday night’s early window saw three potential auto bid runs ended within moments. The MAC Tournament’s first semifinal was the most worrisome for the bubble, as the Buffalo Bulls are the conference’s lone at-large contender. The defending champs pulled out an 85-81 victory over the Central Michigan Chippewas. But the Bulls, and those squads fighting for the last few at-large bids, aren’t yet out of danger, as the two teams meeting in tonight’s second semifinal — the Bowling Green Falcons and Northern Illinois Huskies — are responsible for Buffalo’s two conference losses. 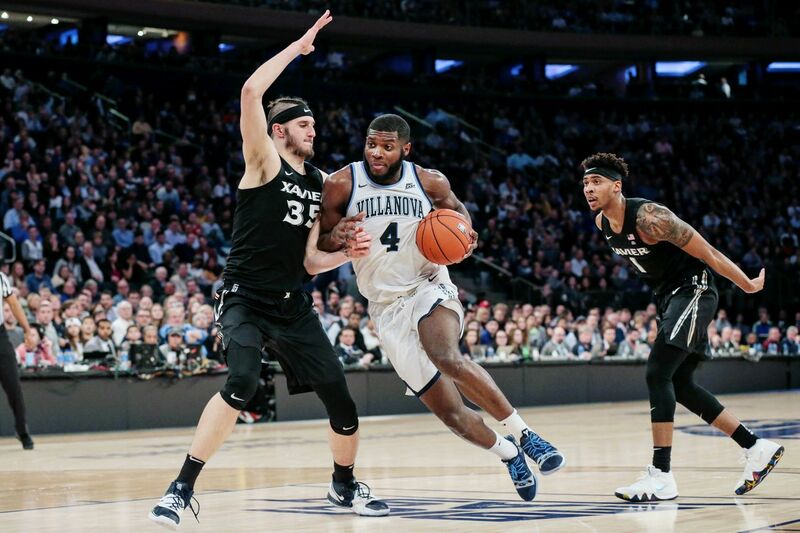 They needed overtime to get there, but the Villanova Wildcats advanced to their fifth straight Big East Tournament title game, where they’ll go for their third straight crown, by knocking off the Xavier Musketeers, 71-67. With the Marquette Golden Eagles and Seton Hall Pirates filling the other spot in the championship tilt, the Big East’s auto bid will go to to a team already locked into a bid. The Musketeers really needed to win tonight to have a shot at a bid. Since the American Athletic Tournament is only at its quarterfinal stage, there’s more potential for bid thievery in that event. This afternoon, the fifth-seeded Memphis Tigers, who are hosting this season’s tourney, blew out the UCF Knights to book their place in the semifinals. So that’s one potential interloper. But the Cincinnati Bearcats ensured that the SMU Mustangs wouldn’t join that group with an 82-74 victory in the first game of the evening session. Next up, the Temple Owls will attempt to knock the Wichita State Shockers off in the nightcap. In the Big Ten Tournament’s first evening quarterfinal, the Minnesota Golden Gophers defeated the Purdue Boilermakers for the second time in a week and a half, by a 75-73 score, to earn themselves even more breathing room. That loss simultaneously knocked the Boilermakers out of the race for a No. 2 seed in the NCAA bracket. However, the Alabama Crimson Tide couldn’t lock up a bid by knocking off the Kentucky Wildcats in the third SEC Tournament quarterfinal. Instead, the Wildcats won their 13th straight game in the event, 73-55. While the Tide remain in the projected field for now because of everything else that happened this evening, their place is tenuous, particularly with what’s to come tonight and over the weekend. Here’s a recap of the picture near the cut line heading into Friday’s late evening games. As I previewed in Friday’s full bracket post, tonight’s late action doesn’t leave much time for relaxation. The semifinals of both the Mountain West (featuring the Nevada Wolf Pack and Utah State Aggies) and Pac-12 Tournaments (highlighted by the Washington Huskies and Arizona State Sun Devils) will likely provide more nervous moments for bubble fans. Meanwhile, the 14-19 West Virginia Mountaineers are still alive in the Big 12 Tournament, as they take on the Kansas Jayhawks.